A family history of cancer increases your risk of that cancer. Risk of cancer is also closely linked to lifestyle choices, such as physical activity, nutrition, and exposure to environmental toxins. You can reduce your risk of cancer—even if you are genetically predisposed with adherence to certain lifestyle factors and regular screenings to catch potential cancer early. Maintain a healthy weight. Obesity is linked to numerous cancer types, including colorectal, pancreatic, liver, esophageal, and stomach cancer. Overweight individuals are also prone to suffer from acid reflux, which is a risk factor for esophageal cancer. A regular exercise regimen can also reduce your probability of colorectal cancer. Eat lots of fruits and vegetables. A diet of fruits and vegetables decreases your cancer risk. They’re high in antioxidants, which fight the cell damage that can lead to cancer. They also contain lots of fiber, which lowers your chances of colorectal cancer. Avoid red and/or processed meat. Studies have shown a link between processed meats and some types of cancer. Nitrates, which are in lunch meat, ham, hot dogs, and bacon, can raise your likelihood of colorectal cancer. 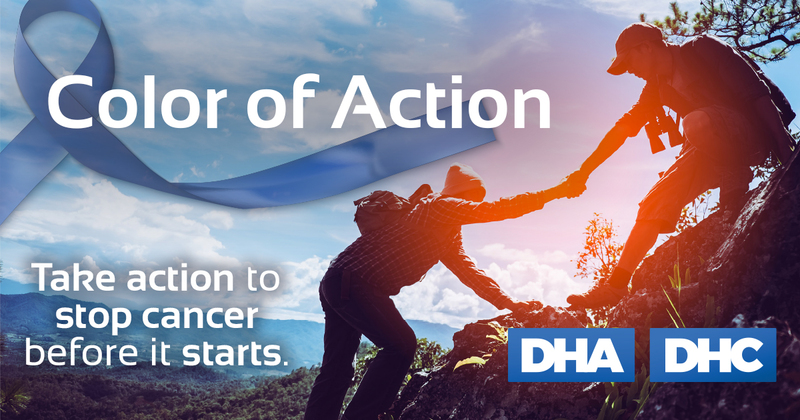 The esophageal cancer rate has gone up 600 percent worldwide, in the past few decades, and colorectal cancer is the third most common cancer in America. It is estimated that 60 percent of deaths from colorectal cancer could be avoided with appropriate screening. Skipping recommended colorectal cancer screenings is a risk you don’t want to take. March is Colon Cancer Awareness month. If you have a family member who has been diagnosed with colorectal cancer, or you are experiencing symptoms, or you are over the age of 45—you are at risk for colorectal cancer. It’s time to get screened. Early diagnosis and treatment, increases survival or prevents colon cancer completely. Contact Digestive Health Reno to get scheduled for a colonoscopy.